Say that three times quickly! Actually, this is not a topic on which to be glib. The safety of seniors in the summer time is important as heat and dehydration ends many elderly lives each year. And the challenge is getting harder. Whatever your stance on climate change, it is difficult to deny that the weather is getting more variable and extreme each year that passes. The other challenge is the “60 is the new 40” culture we live in today. Whilst most people will be aware that the elderly are particularly susceptible to problems caused by heat and dehydration, many do not consider themselves in that “elderly” group. One study showed that almost all participants over 65 knew of the risks but that thought they applied to people older than themselves. > What are the dangers of heat and dehydration? Most common is feeling dizzy or faint and falling. The most extreme is death as the body begins to shut down. > What are the signs of dehydration? The most common sign is thirst, although for many older adults, they will already be dehydrated when they notice they are thirsty. They might also experience feeling tired, urinating less often, with urine that is darker in color, or dizziness and confusion. > What to do when there are signs of dehydration? There are things to do at home such as getting your senior loved one to a cool place and drinking fluids. But you should also know who to call and at what point by talking with the senior loved one’s doctor. It is important to ensure seniors are not alone for extended periods of time. Family, friends, neighbors, and senior caregivers should check in on them regularly and should be aware of the warning signs and measures to fix it. Whatever the weather will be this year, you know you can count on SOSsitter, come rain or shine, to help you find the right support for your household. SOSsitter.ca is a Canadian portal designed to help you find local caregivers in your area, easily and quickly. The caregiver who is right for your family is only a click away. When you think back to last summer, do you ever think “Gosh, I wish I had spent less time outside with the kids and more time inside, cleaning up the house?” A safe guess is no! It’s more likely that you wish you had been outside enjoying the feel of grass under your feet and the sun on your face; and most importantly the ear to ear grins and belly laughter of your kids, enjoying their summer days and nights. 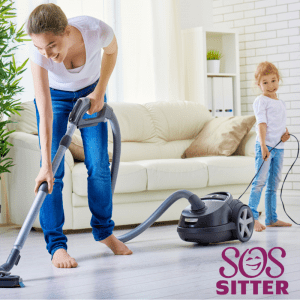 The challenge is that a certain level of organization and house work is required to keep everyone clean, fed and happy, even during the lazy days of summer. The solution? Do a little upfront work to make the necessary housework as effective and efficient as possible. Specifically, decluttering your house will make cleanup a breeze so you can spend more time outside playing with the kids. Your regular nanny or the summer nanny can hep you with this task easily. The key is to know what to do it and delegate. Get your Nanny to help you Close out School Year, Setup Summer Gear; Minimize Clutter, Maximize Summer! School Uniforms – Collect all the school clothes and uniforms, get them washed, pack away what you will use next year and give away what you no longer need. Sports Kit – Some items—like the favourite soccer ball—is useful all year round, but some sports kit is only used for school teams and events and should be rounded-up, cleaned and put in storage in the garage or shed. School Paraphernalia – Lunch boxes, knapsacks, calculators, oh my! If it is unlikely that your kid will be using his or her school bag over the summer, this makes a great place to collect and organize “school tools”. Get the bag all packed up and put it at the back of the closet, ready to be pulled out at the end of the summer. Projects and Paperwork – This can be one of the hardest areas to get straight but it is a must! If you and your kids feel like it will take some time to get through this stuff—especially deciding what to keep and what to toss—get a box, collect it all together and then make it a summer project. The key is to not just let it fill every nook and cranny before you find the time to get to it. And don’t forget that we live in a digital world today; digital clutter can be just as overwhelming and time-consuming as physical clutter. Some final tips: Remember that school clutter is found EVERYWHERE! Check the car, the garage, and the kids rooms too! School Year build-up has probably permeated every corner of your world so make sure to give all of it some of your attention. You are not in this alone! Engage your kids in this process: it will be a fun way to close the year and teach them some valuable life lessons. Nanny, babysitters and housekeepers can be invaluable helpers as well! Now that you have all the School Gear out of the way, get your nanny involved to help you get the Summer Gear out! Summer clothes and shoes. Swim Suits, Towels, Bags, Games and Toys. You know what your family uses most in the summer. Pull it out, make sure it is ready to use and make it easy and accessible for everyone in the family. A clutter-free house is an easy to clean house. Well… easier to clean is probably more like it! for or your summer nanny! After you have the kids school year and summer gear sorted out, it is time to look inward! The key with clutter is to ensure that everything has a home. You need a space to place everything that you have and if you don’t have the space, it’s time to look at what you don’t need. Take a tour of your house and look for your biggest clutter danger areas. (TIP? The dining room table and accent chairs seem to take the brunt of it!) Do you keep months (or years!) of old magazines? Why not tear out articles you want to read later and recycle old issues? Do you drop your mail around the house before weeding out the junk? Does your office paperwork come home with you and then spread like a mould? Does your love of knick knacks make dusting a simple coffee table a long and arduous process? Look at what doesn’t work and fix it. With a house that is organized and clutter free, you, and your nanny, can keep your bouts of cleaning short and focused and maximize the fun you have with your kids outside. You can also maximize your fun by getting some help—whether to clean the house regularly or for special projects; a regular nanny or ad hoc babysitter. What do Moms want most? Well, after a healthy and happy family, Moms most want to be reminded that they are loved and appreciated. And how best to tell and show them that? Is it going to the local card shop to pick out a card? That’s nice. But what is even better is a gift and card made with love, and thought and the hands of their own little ones. Flowers are lovely but they also have a short life span once picked. Why not make flowers that will last a bit longer and that are crafted from your own hands! There are lots of materials that can be used for the petals – colourful pages from magazines, wrapping paper, construction paper or even paper decorated with messages for Mom with crayons. Make long strips and fold them over to create layered petals or cut them into heart shapes. Staple all the centers together and glue a cut-out circle or even a button in the middle. Green pipe cleaners make great stems. Finish the bouquet off by putting the flowers into a vase or wrapping them in some paper. Moms always seem to have lots of papers stacking up. And there always seems to be lots of action around the house that can sometimes make those papers fly! Special paperweights, made just for Mom, can solve that problem and be a constant visual reminder of just how much her kids love her. Nanny can help find medium-sized, preferably smooth rocks in the yard. Alternatively, craft stores usually have good stones that can be used to make paper weights. Either glue colourful fabric to the stone or get the paints out and decorate away. Consider putting a “M” for Mom or message like “Love you!” on top. Moms love cookies, Dads love cookies, nannies love cookies, kids love cookies… so make some cookies! But as this is a special occasion, make some special cookies. Heart-shaped is always extra special. And with some icing tubes, kids can put special messages just for Mom. What Mom doesn’t love jewelry?! And a pasta shell necklace in the jewelry box will be valued by Mom as much as any costume or precious pieces it sits alongside. Nanny can help pick some pasta from the cupboard – penne is always a good choice but using several types can also add interesting variation. Paint the pasta with paints from the crafts drawer and let them dry on some newspaper. Then string the pasta together on a piece of sturdy string, and with nanny’s help, tie it off tightly. Remember to make the necklace long enough so it can go around Mom’s neck. Mom’s love to save all the wonderful art their kids do at school and home but often find they are busy and lack the time to put it all together. Collect ten or fifteen favourite pieces of artwork and stack them together. If they vary in sizes, paste individual pieces on large construction paper so your scrapbook is all the same size. Consider making a piece especially “commissioned” for the scrapbook. Choose a different colour of paper to make a front and back cover. Nanny can help punch holes through the stack, and kids can tie it all together with some ribbon or string. You could also scan some art work and frame it for Mom. And of course, you will want to make a homemade card! Nanny can help get the needed supplies together – construction or printing paper, crayons and markers, and stickers. But the most important part of the card is the heartfelt message telling Mom how much you love her! And for all the Dad’s out there thinking about what they can give Mom to show how much you care – consider some help in the home. Maybe someone to help with clean the house on a weekly basis or to get and stay on top of the never-ending piles of laundry? If that sounds like a good idea, you are in the right place! SOSitter.ca is a Canadian portal designed to help you find local caregivers in your area, easily and quickly. The caregiver who is right for your family is only a click away. One of my favourite pictures from childhood is of my older sister at Easter, hunting eggs and me, her four-year old little sister, sitting next to the Easter basket with a chocolate-smeared face, eating what she had hunted! That is one way to make sure the big kids don’t get all the eggs in the annual hunt! —Split your hunting area into different sections based on age ranges to allow kids of different hunting abilities to all get a fair shot at finding eggs. Mark off the sections with big colourful signs to show which group should hunt in which area. —Use different sized eggs for different ages. Use the extra-large plastics eggs for the smallest in the group. Use normal sized plastic eggs for the kids in the middle range. Use the smaller chocolate eggs, covered in colourful foil, for the biggest kids; they will enjoy the extra challenge. —Tie balloons on a long coloured ribbon to the eggs that are for the smaller children. Let the bigger kids know that those eggs where left by the Easter Bunny for their little brothers and sisters and so are off limits for them. So the little kids and even the bigger kids are happy, but what about the really big kids? Yes – that is you – the adults! It is all about what is inside the Easter egg! If you have sectioned off your hunt by age group, make a section specifically for the adults. Use plastic eggs and put adult treats inside – such as money or tokens for bigger prizes or raffle tickets for a drawing at the end of the hunt. And if you want to be a little racier – put small bottles of alcohol inside the very large plastic eggs. Oh Easter Bunny – you should not have! But everyone will be glad you did! Now you that you have the best ways to celebrate Easter with kids of all ages, there is only one Easter challenge to address: easy egg dying that doesn’t involve trying to BLOW the yoke out (yuck!). There are many sites online that provide instructions on how to best blow out the yoke and even some YouTube videos. We suggest one very simple away to avoid this challenge; hard-boil your eggs before you dye them. Hard-boiling eggs is not only less messy and avoids handling fragile, empty eggs but it is also a more sustainable as you can eat them after the hunt! You are now all set for an awesome Easter: You have the eggs and you have organized the hunt. You are in good shape and can be proud. If you want to go even further… get festive with your decorations and plan some games. Our favorite idea is to set up an arts and crafts table and let everyone make Easter Bonnets. Once everyone has a bonnet, hold a parade to show off the results. You could even have a competition with fun awards for most colorful, most inventive, most usual… the sky is the limit! And will the Easter Bunny leave something for Moms and Dads this year? Wouldn’t it be wonderful to find an egg with the secret to finding great help in the home hidden inside? 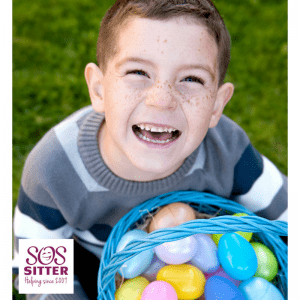 Well here is Mom and Dad’s Easter Egg: SOSitter.ca is a Canadian portal designed to help you find local caregivers in your area, easily and quickly. The caregiver who is right for your family is only a click away. SOSitter.ca makes the “hunt” for your trusted home help easy. Happy Easter! Spring is a double-edged sword. On one hand, it means warmer weather, getting out in the great outdoors, a breath of fresh air. On the other hand, it means it is time for the annual Spring Clean! 1. Vinegar – Did you know some vinegar on a paper towel will clear up cloudy glass in a jiff? And that is just one of the things you can do with vinegar. 2. Onions – Onions are great for cleaning grills and cheaper than wire bristle brushes. Just cut one in half and have at it! 3. Lemons – Use lemons in your fridge or food disposal to remove food odours. Again, only one of the many uses for lemons! 4. Throw plastic toys into the dishwasher for quick and easy sanitizing. 5. Clean your blinds with a sock. Moisten an old sock with a water and vinegar solution, slip that sock on your hand and get wiping. 6. Use the Coca-Cola from your fridge to clean your toilet. Seriously! The acidity of the Coke makes it an effective cleaning agent. It also works on lots of other things such as removing rust and loosening grease. And it does not have to be Coke – any fizzy drink will do, whether diet or regular. Just be sure not to use the most expensive cola you come across! 7. Dryer sheets are great at cleaning dashboards and providing a fresh clean scent. 8. Clean your microwave and your sponge at the same time. Microwaving a damp sponge will disinfect the sponge and loosen food and grime inside your micro. 9. Make your home smell wonderful by “baking” a cup of vanilla extract for an hour or so. Better yet, make some cookies. EVERYONE will appreciate that more! 10. Use dampened bread as a means to pick up little pieces of broken glass. Playdoh also works wonderfully for this. And for glitter. Because that stuff never goes anywhere otherwise! Even a vacuum cleaner can’t get to it. 11. Use your hairdryer to get water rings off your wood furniture: Set the hair dryer on medium heat and hold it two inches away from the stain. As you apply heat, use a cloth or napkin to buff away the mark. Continue wiping until the surface is blemish-free. 12. Take some vodka to bed! Mix some vodka (and some essential oils if you prefer) and lightly sprinkle your mattress and let dry before re-making. The alcohol works against odour-causing bacteria. And a bonus – when you go to the market to buy cleaning suppliers, leave the shopping cart parked. Buying only what you can carry is a great way to keep you focused on the products that you really need. Just do it! If you put it on your list and leave it there for weeks, it will be a monkey on your back. Just do it. Get it done. Leaving it on your list will waste your time and energy. Make a list! Lists keep you focused. Lists break up the huge tasks into smaller bite-sized pieces. Lists give you the satisfaction of the “scratch off”. Turn on the tunes! I like Madonna’s Immaculate Collection. Nothing better than dancing and singing while you clean. 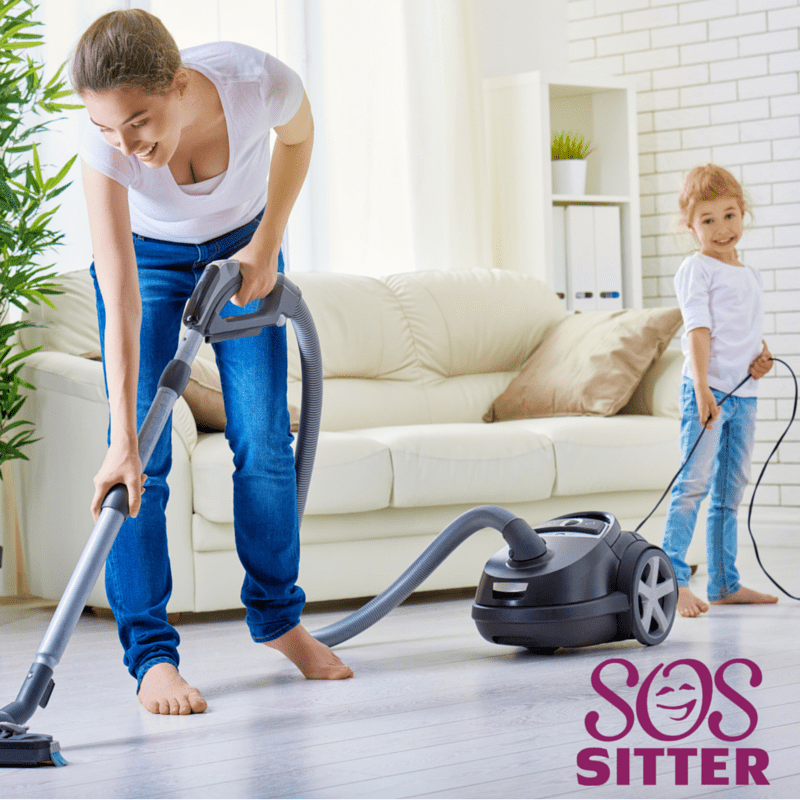 If you are looking for some cleaning help in your home – whether spring cleaning or on-going cleaning – look no further than SOSsitter.ca . There are many resources in your local area. SOSsitter.ca is a Canadian portal designed to help you find local caregivers in your area, easily and quickly. The caregiver who is right for your family is only a click away. February is considered the month of love because Valentine’s Day is celebrated on February 14. It is a special day that most of us have marked in the calendar, just like other holidays such as Mother’s Day and Father’s Day. Hallmark and the other “suppliers of holiday cheer” gear up for this date, each year. Hurrah for Valentine’s Day when couples celebrate and show their love for one another! Hurrah for Mother’s and Father’s Days when families show their love for their parents! Why have beautiful china plates and only use them once a year? Or in other words, why wait for a future date to tell your loved ones just how much they are loved? So what are some things that kids of all ages can do to show their parents some love? It’s a fact that parents hold a very unique and special place in our hearts. We suggest sharing this with them in this month of love, and in every month. Let’s go even further! Why not tell all the members of your family that you love them! Grandparents, aunts and uncles and siblings would certainly appreciate hearing this as well. And don’t forget to tell your favourite babysitters or your nanny just how much you appreciate all that they do for you. Why not? It is free yet priceless! No matter how you go about it, remember to use your “good china” every day of the year. Or in other words, do not wait for a special occasion like a birthday or Mother’s/Father’s Day to let your parents and other family members know how much you love them! Let them know today! And tomorrow! And the next day! 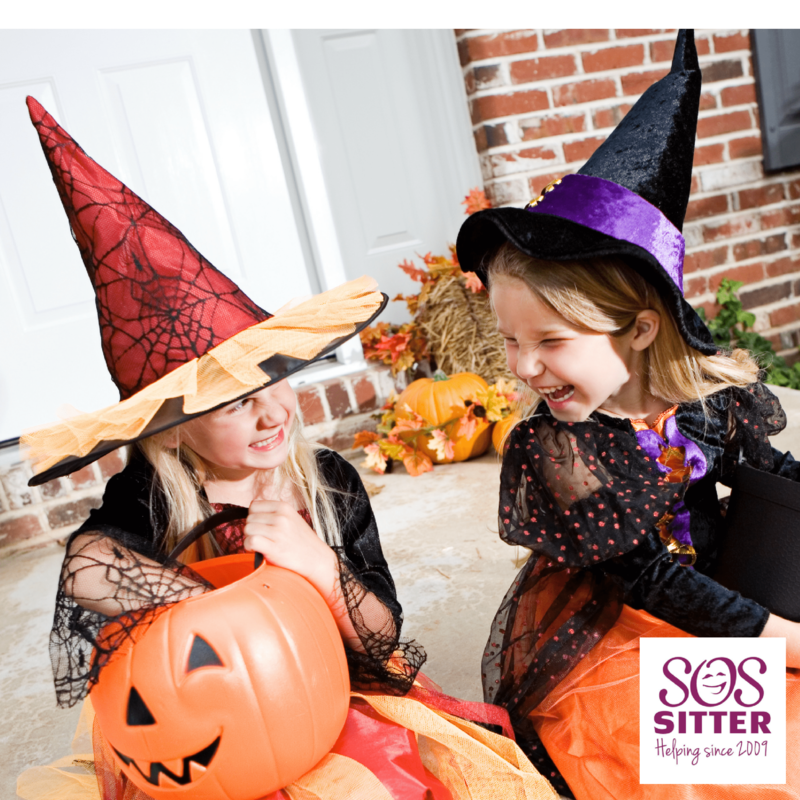 If someone you know is looking for a Nanny, check out qualified candidates in your area at SOSsitter.ca. SOSsitter.ca is a Canadian portal designed to help you find local caregivers in your area, easily and quickly. The caregiver who is right or your family is only a click away. New Year, New You, New Apps to Keep You on Track! January 1st is the day when we all get a fresh start. It’s a new year, and many of us are vowing to make 2017 our best, healthiest, most productive year yet. While motivation is high for a few days, many of us lose steam as the first week or two of January flies by. How can you make this year different and stick to those New Year goals? The answer could be in your pocket! More people are downloading apps and using their smartphone to keep resolutions and meet goals. You have your phone with you 24/7, why not make it work even harder for you! No matter what your resolution is for 2017, there is an app out there that can help. Below are just a few examples of apps that can help you do more, get healthy, and reach those goals. Any.do calls itself the “all-in-1 app to get anything done with to-do list, tasks, reminders…” While there are hundreds of apps out there that will help you get your busy life organized with task list and reminders, this one is different! You can sync it with all over devices (hello iPad to work laptop to phone), and you can share your lists with other users (your spouse, your kids, your nanny!). Create your lists and get morning reminders. The app itself is free, however you will have the option to make in-app purchases. Trying to watch your budget for 2017 and finally start saving? EveryDollar: Budgeting allows you to make a budget, manage your money, and track your spending. If you’re a fan of Dave Ramsey, you know that every dollar counts. This app is free, allows you to quickly analyze your spending, shows you how much you can spend before you blow your budget, and will help you reach your money goals. MyFitnessPal is an app that will help you figure out your calorie goal, track what you eat, track your fitness, and more. The Google Play store says this app is the world’s most popular health and fitness app and that members have lost 200 million pounds as a group! There are over 6 million foods in their food database, you can add a photo of your meal, connect with friends and cheer each other on, connect your Fitbit and see how many calories you crushed through movement, and sync other fitness apps to it such as MapMyWalk. Do you have a different goal for 2017? Search your phone’s app store and see what innovative new apps are out there to help you! There are also apps out there that can tell you if that “healthy” diet shake is really healthy (like Fooducate), apps that can help you stay on top of household chores, apps to work on your elder’s memory skills, apps to teach tots to sign, and apps that can create workout routines personalized just for you. 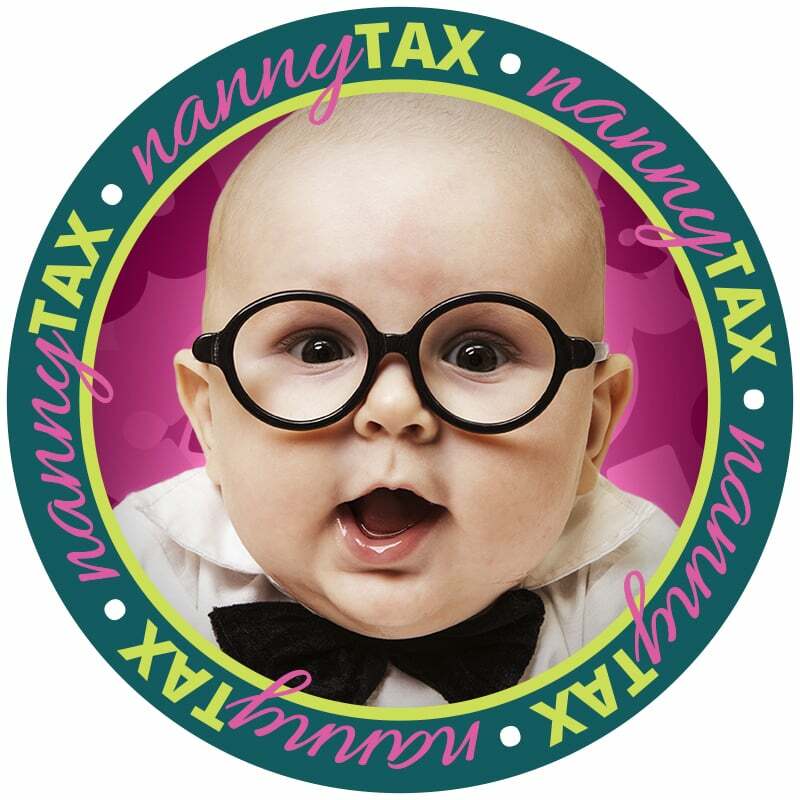 Deborah Shure is the owner and founder of Nanny Tax, the premier nanny and caregiver payroll service in Canada. With over 25 years of combined financial experience, Deborah and her team are the most trusted source of nanny payroll information. When she isn’t busy providing “nanny tax frustration relief”, Deborah is spending time with her 3 kids doing all the things that supermoms do! Tinkle. Tinkle. Tinkle. Did you hear that? That is the sound of an angel getting his wings. If you do not know that reference, you need to watch “It’s a Wonderful Life” this holiday season! It is a classic Christmas movie and sure to be on the television line-up once or twice in the coming weeks. In fact, have you noticed that the number of “feel good” movies have already started to increase? We are officially in the ramp-up to the holiday season and the corny but lovely movies will be rolling and everyone will be putting in that extra effort to be a little bit kinder and gentler. All the love and kindness makes the holidays the perfect time to remind your little angels about the importance of generosity. You may wonder how to help your children be generous towards others, when they are mostly being generous in texting you links to the exact gifts they will be expecting this holiday season. But it can be done! The basics of teaching your kids are like most things you teach them—lead by example; start small and build; give them choices; and be patient! And the good news about the holidays is that there are already things happening in your community that can provide learning opportunities such as food and gift drives. I remember the Angel Tree drives when I was a kid. You choose an entire family (with their names and ages noted on an Angel decoration on the tree) and bought presents for them. My friends and I even kept it up through our teenage years. Volunteering at a soup kitchen or behind the scenes at a toy drive sorting out gifts is also a good idea. When you are young you have energy and time but no money. When you are in the middle of your life, you have the energy and money but no time. When you are old, you have time and money but no energy. Bake them a cake or other Christmas goodies (just be aware of any dietary restrictions they may have). Go to their home and sing Christmas carols. Take them to a concert to listen to carols. Arrange to take them to church on Christmas. Play cards with them or do a puzzle. Take them shopping to help them buy gifts for their grandchildren. Help them wrap their Christmas presents. Address Christmas cards for them. All of that sounds wonderful right!? And given the luxury of all the time and money in the world, you would be right on it. But things are busy. You are stressed. Urghh… too much to do! If that is how you are feeling, remember that studies show that being generous can pay dividends to your physical and mental health. Connecting with people through your generosity will make you feel connected and improve your overall happiness levels. And if you do still feel too overwhelmed, maybe it is time to be generous to yourself and get some help in your home! If you or someone you know is looking for a Nanny, check out qualified candidates in your area at www.SOSsitter.ca. 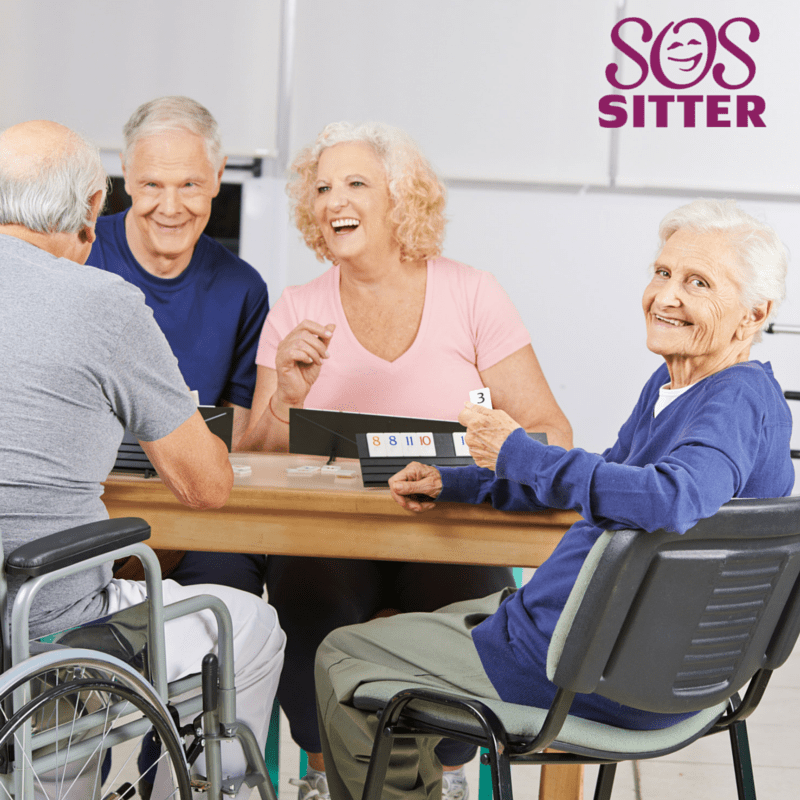 SOSsitter.ca is a Canadian portal designed to help you find local caregivers in your area, easily and quickly. The caregiver who is right for your family is only a click away. There are certain holidays or events that mark the year. Remembrance Day – or Poppy Day as we called it when I was a kid – is certainly one of those events. Poppy Day was always a signal to me that summer was long gone, that we were fully into autumn and that winter weather and Christmas holidays were just around the corner. It was (and still is!) the days and weeks leading up to Poppy Day that brought that feeling as you started to notice the poppy pins appear on people’s clothes. You likely know the history of Remembrance Day but it is always worth a refresher for our old brains! It is a day observed in countries in the British Commonwealth of Nations to remember all those who have died in the line of duty and those affected by war. It has been held since the end of the First World War and is held on Armistice Day – the day the treaty to end World War I was signed. Whilst the tradition of honouring those lost was started by King George V, it was a poem written by a Canadian doctor for the funeral of his friend who in perished in the First World War that introduced the concept of poppies. The poem, “In Flanders Fields”, refers to the poppies that grew over the graves of fallen soldiers. You may wonder how to talk to kids about Remembrance Day and war. Talking about such difficult topics can be challenging, especially as they are hopefully far removed from your kids experiences to date. Try to relate it to things that your kids can understand such as separation and or the loss of loved ones. Grandparents can help as they can explain their experiences or memories. But always remember to make your child feel personally safe and secure when talking about these types of topics. Balance the harder aspects of a discussion on Remembrance Day with a discussion on all the events and activities that are planned. Talk about the events that will happen in Ottawa for example as well as events planned in your home town. Go online and show your kids pictures of the thousands of poppies at the Tower of London in 2014 that marked the start of the British involvement in the First World War. There are also many activities that you, or your nanny or babysitter, can do with your kids for Poppy Day. There are activity books online that you can download. There are word games and puzzles and pictures for colouring. 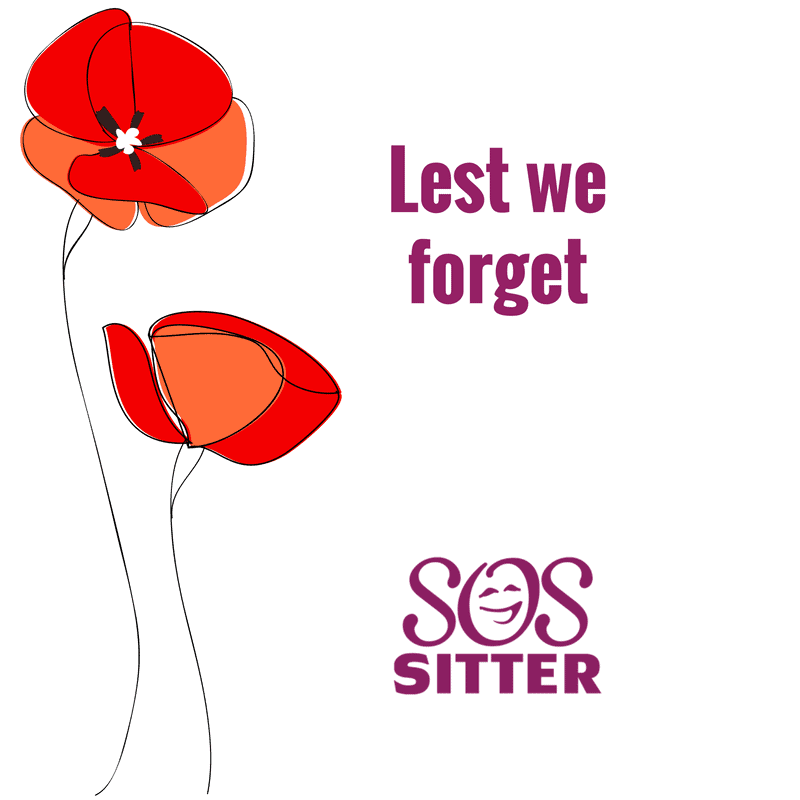 If you do not have poppies for your family, this is another activity you, your nanny or your babysitter, can do with the kids. Simply get out the red and black construction paper and scissors and glue and get to work! 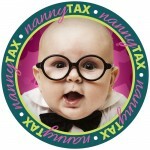 If you or someone you know is looking for a Nanny, check out qualified candidates in your area at www.sossitter.com. SOSsitter.ca is a Canadian portal designed to help you find local caregivers in your area, easily and quickly. The caregiver who is right for your family is only a click away. Homemade Hallowe’en Costumes: Trick or Treat? One of my favourite parts of autumn is Hallowe’en. I have great memories of pouring my bag of candy out on the living room floor and sorting through it, followed of course, by the candy trade negotiations with my sister. Even as an adult, I have many happy memories of Hallowe’en. I remember well Hallowe’en night in my first house. I had a dinner party and all conversation stopped as we started to hear the sound of kids running through the leaves (swish, swish, swish) and the knocking at the door. The enthusiastic shouts of ‘Trick or Treat’ from ghosts and goblins brought smiles to everyone’s face and we equally enthusiastically took turns answering the door and handing out pieces of candy from the big pumpkin bowl. As the hour grew late and the stream of trick or treaters slowed, the group conversation resumed and many around the table admitted that they were glad that costumes had not been required for my gathering. Last minute and ‘Do It Yourself’ Hallowe’en costume horror stories started to flow like blood in a low-grade slasher movie. Homemade Hallowe’en costumes are sometimes the product of a creative imagination and personal ambition. More often than not, however, they are a product of lack of planning or a desire to save money. So …the countdown is on! Hallowe’en is just around the corner and it is time to get on top of costumes! And the big question is always – what to be! For mom and baby: Popcorn vendor (Mom is vendor… baby (with some crafty help) is popcorn! Set a deadline for making the “what to be” decision. Enlist the help of your nanny or babysitter. They spend a lot of time talking with your kids and can be a great help in getting your kids to come to the final answer. Practice applying make-up a couple of times in advance of Hallowe’en. Practice makes perfect and happy trick or treaters! And don’t forget to get your candy bowl sorted before the stores are out of all of the good stuff. The CTV report last year stated Skittles, M&Ms and the classic candy corn as the top searches. No tricks – all treats! Happy Hallowe’en! 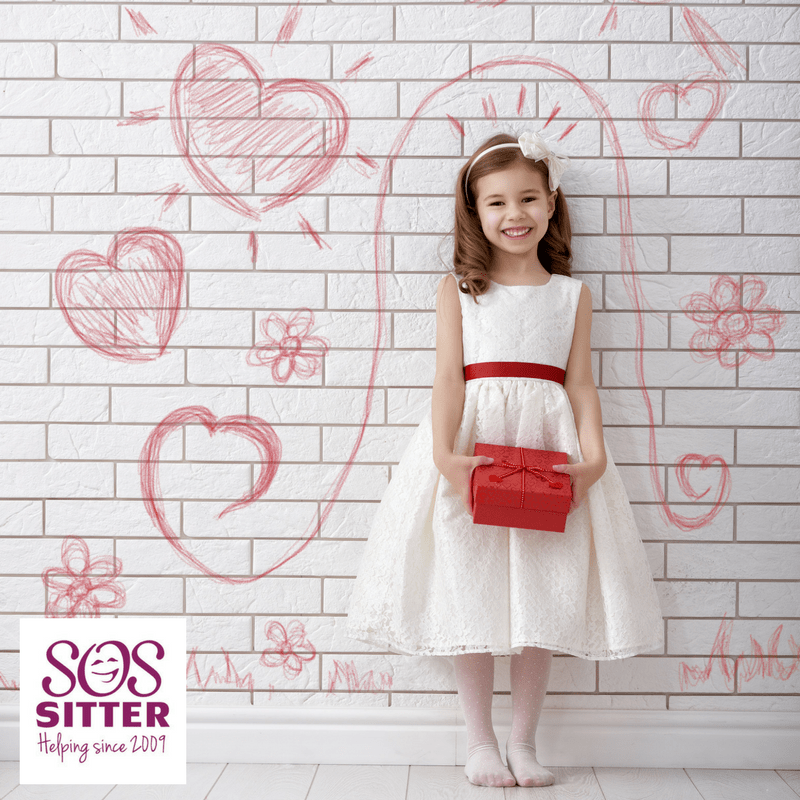 If you or someone you know is looking for a Nanny, check out qualified candidates in your area at www.sossitter.ca. SOSsitter.ca is a Canadian portal designed to help you find local caregivers in your area, easily and quickly. The caregiver who is right for your family is only a click away.